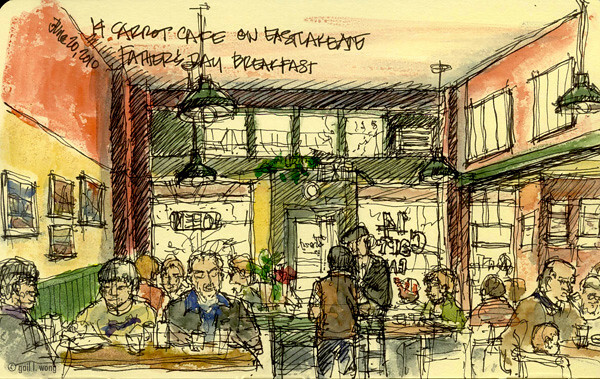 Our family went out to 14 Carrots Cafe on Eastlake for a Father's day Brunch. The classic Seattle thing to do...going out for brunch. Our kids love it! 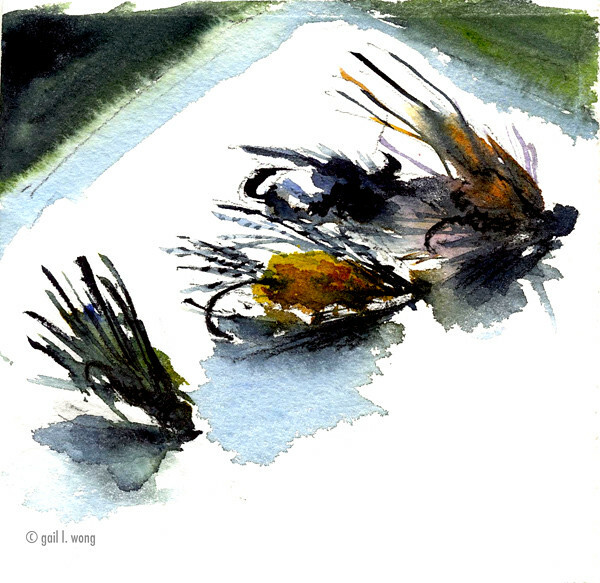 The flyfishing flies was a painting I did as a father's day gift for my husband. Great fishing flies. I'm salivating. Good thing I'm not a fish. Thanks for sharing. beautiful lures, cozy cafe! Something to make everyone drool here -- flies for Tim, carrot cake for me. A wonderful life!